Welcome home! 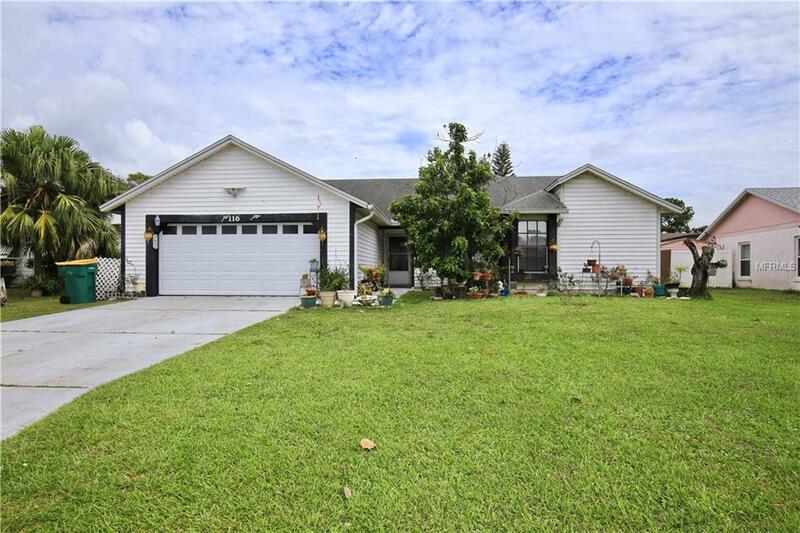 Youll minutes away from shopping at Ventura Downs, restaurants, Aldi, Ventura Elementary, Gatorland, Orlando International Airport, Floridas Turnpike, 417, 528 and I4. This fixer upper with potential can be the perfect custom home with your personal touches and TLC, with no HOA. The large yard hosts citrus trees bearing fruit and the back is fenced in for privacy. The covered lanai and sunroom is a great place to grow your own garden, plant your succulents and harvest your fresh herbs. The shed out back is perfect for storing all your tools and extra storage. Inside the open floor plan youll find tall ceilings, natural light and a neutral color palette. The kitchen features a breakfast nook, stainless steel appliances, a range hood, dishwasher and pantry space. The spacious family room leads out to the covered back patio. The master suite has laminate floors and a standing shower. With a few upgrades and updates, this quaint cottage can be the space youve been envisioningcall today to schedule a showing and make this home your own! Listing provided courtesy of Keller Williams Classic Rlty V.